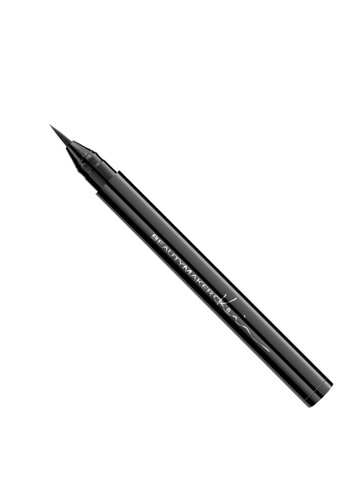 An easy-application, quick-dry waterproof liquid liner that stays on all day. The formula that won't smudge, fade, or come off in water. Direction: On the upper and lower lash lines, draw a thicker line at the outer corner of the eye, tapering toward the inner corner. Water, CI 77266, Acrylates Copolymer, Propylene Glycol, PVP, Triethanolamine, Polysorbate 60, Phenoxyethanol, Magnesium Aluminum Silicate, Methylparaben, Sorbitan Stearate, Disodium EDTA. Can't find Long-Wear Liquid Eyeliner in your size? Care label Keep in cool and dry places away from direct sunlight.